On days like today, I am forced to think of what I do on a daily bases has any purpose, who and what I invest my time, my money and my life in and with. Most of those things have an instant yes but a few took me down a path of reflection! I am honored to live a life that is a daily reminder of Gods grace as well as his many promises and blessings! But today just seemed different, I felt different, I knew something changed in my life over these past few weeks that made me feel older, stronger and wiser! I was reminded this week constantly that God has me right where He wants me, things could change instantly around me but He has a plan, trusting in Him meant trusting in His plans and His way! We all get the point of being burned out, over stretched and annoyed. I want you to think about your day at it’s lowest point, the day when nothing seems to matter (believe me we have all been there). Now I want you to think about the best day you have ever had, the thrill that comes from that. Even on my worst lowest moment I would never trade it for anything, because without your lowest you can not have your highest! I think sometimes we forget that life is never supposed to be a walk in the park and without the bumps and cuts we will never learn from our mistakes. This week taught me a lot about being a person, what it means to feel and how my actions big or small pay a price. The question is are we equipped to pay that price no matter the cost, for me I am still learning that one. So now do you feel it, your heart beat that thump and rhythm that is your purpose and on days like this that’s all that matters. I remember the very moment that I heard Gods Voice for the first time. It was when my parents told me we were moving to South Carolina, I still picture of that day in my mind. I was 15 years old a freshman in high school I loved Jesus with all my heart but I hated (at the time) that my parents were moving us to a place where I have never been. I remember sitting in a chair after youth group at church in the sanctuary after everyone had left praying to stay. I was praying so hard I could hear my heart pondering. All I heard was a sweet soft voice saying Go where I send you. After that moment my prayer shifted to give me wisdom to know where you will lead me. This all look place 7 years ago, but the memory of that day plays in my mind almost every Sunday. It’s vivid and real every time I think about it. Go where I send you was exactly what God has been doing in my life! He has lead me through some of the most exciting experiences as well as some challenging ones. I wouldn’t change one thing about my journey, it was and will continue to be Gods plan for my life. God created us to be followers of Him, to let His light shine through us so that others can see His light within us. If I didn’t move to South Carolina or if my parents did not listen to Gods voice, my sister wouldn’t have met her soul mate, I wouldn’t have been a social work major, or met my best friend! Life would have been way different! I continue to trust that wherever He leads me, it’s because He knows what I need and who might need me. This journey that God has you on might be way out of your league but trust that what’s out there for you is right up His ally for you to accomplish! A teacher once told me that a car is always safe in the garage but that’s not what they were built for. They weren’t manufactured to sit in one spot and neither should life…. We were meant to explore, make accidents and change every year. Gods plan for our lives can be messy, long, exciting and scary all at the same time but at the end of the day it’s worth more then any pair of shoes I own! So today remember the moments, soak in the memories and be present for what lies ahead of you! The title says it all! Everyone goes through it but it is definitely how you handle it that makes you stronger. I have faced disappointment with my head held high this week and have tried not to let it effect me, but today as I traveled to both my internship and real job I wondered and thought about how much Gods plan for my life is real and tangible. He protects us in ways that we don’t see coming and who knows you might meet people you thought you would never meet because your plan was way to comfortable and Gods plan never is! Let me start by saying that when God locks one door He doesn’t do it without opening another one. The plans that He has for my future is so bright! My plan might be broken right now but I have faith and I definitely trust His path. I found out that I didn’t get into Graduate school at Winthrop. I was upset but you know what, Gods plan for my life might not have been for me to stay in the same spot. I did apply to several graduate programs out of state and online so we shall see. When life throws you lemons you throw them right on back! Don’t let anyone tell you that you are not good enough, chances are they need to work on somethings as well. If Tangled taught us anything, it would be to step outside of what we feel and live a life of adventure because the greatest reward is finding ourselves in the mist of pain and disappointment! I just finished my application to Graduate School! I am about to graduate with my BSW degree in May and if I get into Grad school I will be the first in my immediate family to further my education. I am so excited I have never been the first at anything before. I titled this blog as pressing on because there was times when I felt like applying to Grad school was not so important as what I am trying to accomplish right here and now. Like most lessons I learn, God has a different agenda (like He does all the time). Pressing on when you can’t see the other side of the path you are on is difficult and overwhelming! But knowing that you are not blindly walking makes the path you are on worth tackling, my partner in crime will always be Jesus! Where He leads I follow. 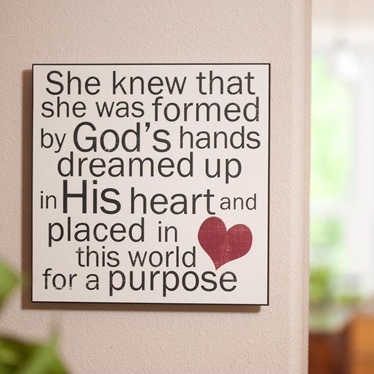 I leave my future in His hands and surrender all my dreams to Him, it helps that He already knows the desires of my heart and what I long for and need. Pressing on to me means that while I am pushing, Jesus is lifting me up and supporting me all while giving me glimpses of what lies ahead for my future. So the next time you need to press through something think about all the things Jesus already knows you are going to accomplish and that He is seeing you where you are at so that you can do what He has called you to do! Yesterday was just an ordinary day in the life of a collage student, it was church, homework and working my second job and passion of photography. When it kind of hit me, of how much I do and accomplish within our society. I am working girl, a student who is a semester away from graduating with her BSW and a business owner of Vinita Maigur Photography. I started working for 31 a company that helps empower women through bags that they carry all while working part time at a childcare. BUSY…..BUSy…..BUsy…..Busy. Boy do I love it that way. But it came to my attention yesterday while I was doing a photography session that I do all of this stuff and don’t really have anyone to share it with. I felt like yesterday I took the best pictures since I started my business and when I reached for my phone I kind of paused, and in that moment was when I knew that there was no significant other that would pick up on the other line. It wasn’t till then that I realized how Gods plan for my life is so much bigger then the desires of my flesh. Yes I get it! We all want someone to be there through the good or the bad, but that’s really not up to us how that person comes into our lives. You have to be able to trust that there is something better for you in Gods plan for your life, then in your own plan. Gods perfect plan doesn’t really have direct answers to those questions until it starts to unfold. Until that happens for me and my life, I will be waiting and praying that the man that God designed for me is out there and that first he will never lose sight of the love that God has for him, and second he will always know that I prayed for him even when I didn’t know his name. I can honestly say that right now I look at my life and think if only I had someone to call when exciting things happen to me or if I was having a rough day. If only I had someone to enjoy a good dinner with and meaningful conversation. But those if only’s can only take you so far before they become all that you think about and idolize about. That is something God doesn’t want you to do. God should be the obsession of your heart not some man of your dreams. Knowing that God is fully in control of that area of my life is what makes these times of heartache and loneliness worth every minute. I was roaming around last week, just minding my own business when I over heard a mother and her young daughter talking, they had past some of the magazines in the store and the mother turns to her daughter and say’s “you can’t be pretty and smart, you have to choose.” I kind of stood there, in amazement of how a mother would tell her daughter that she would have to choose beauty or brains. I really wanted to turn around and say that there are so many pretty successful women out in the world. And doesn’t beauty come from the inside out, shouldn’t we be teaching young girls that what truly matters is what we think of ourselves. This literally broke my heart….. I grew up knowing that regardless of how I looked, felt and preformed that there was always someone who was going to love me. He laid down His life so I could live more abundantly. His Name is Jesus. What happened to uplifting our young people, to have them believing that they can do anything? I was blessed with parents that showed me love and affection wherever we went…. to the point of embracement. But after today I see why they did that. They wanted me to not only believe I could do anything but understand that regardless of how I portray myself on the outside that its what on the inside that truly matter…. it’s your heart. Have you ever heard “what’s in your heart is the key that unlocks who you are?” My parents wanted me to live that, they only wanted me to give out keys to the people who deserved to see my whole heart. Jesus is one of these special people who not only gets to see your heart, He gets to manage it. We as humans get to pick things and place them in our hearts dreams, plans, hopes and desires but God is the one who pushes them through to pass. When we wear our love out loud, we wear Gods love out loud. This young girl today at the store may only hear one way of being successful in life through her mother, but I pray that as she gets older she finds that its not your beauty that matters, its not even how smart you will become it’s about the way your heart is aligned with Christ that truly makes you drop dead gorgeous. This week has been so hard on me, I have fallen into this rut of constant formality that I just can’t seem to get away from. My thoughts have been nothing but negative about myself and the joy that consumed the smile I carry everywhere just seemed to disappear…. it wasn’t until today that I realized that I wasn’t myself. That I let the light dim and that nothing really matted. Let me tell you this, God loves us in our ruts, He loves us when we don’t even know how to love ourselves. I can’t even begin to grasp that…. I might feel right now that there is no end, that where I am in life right now is where I will always be BUT that’s not true…. God has a plan, He has a plan that successes all plans. “I am more precious to Him then any ruby (proverbs 31:10).” Today was hard, tomorrow might be harder but you know what though His grace I know I can make it through. I have done my best, I think that is all God is ever looking for. I don’t think He ever wants more then our best, I am not saying that He doesn’t challenge us, because He does but His challenges are there to equip us so we know how to face what happens next in life. The challenges that God has walked me though has brought me to this moment because He wanted me to be here…. to be a witness….. to get in the race…… He let me live…. He never left me when I pushed Him away…… He has helped me be brave, calm and understanding when situations got scary……..He helped me realize that things happen for a reason and sometimes we don’t know the answer to them….. He taught me that only He can provide my needs for me and that earthy things don’t matter….. He surprises me with love even when I can’t seem to love myself…… He has raised me up….. He has called me and equipped for His divined purpose. I may be sarcastic all the time, I may even be walking in fear, I may not know what’s best for me right now but what I do know is that He has it coved and that worrying about anything will just lead to stress and that applying myself to His command and path is the only way I will ever make it. So this rut might have been the best thing for me, it taught me that no matter where I go, no matter what I do God will be with me and to Him I am everything He has ever wanted. The only true thoughts and opinions that will ever matter in this world are our heavenly fathers. Let me start off by saying it’s been a long time! With Valentine’s Day being the last post I put up on this blog, a lot has changed within me and around me. 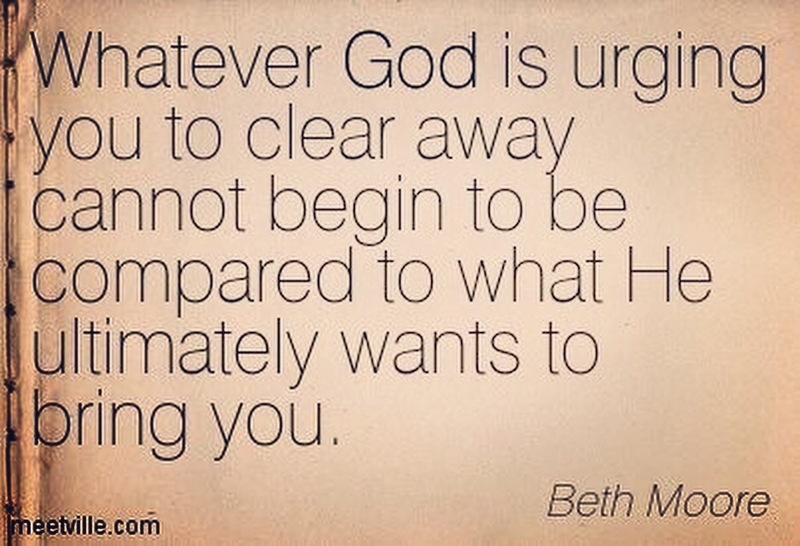 I never head the word audacious before, it’s a word not really used a lot but a friend of mine knows how much I love Beth Moore’s devotions and picked me up a copy of an audio book Beth had written. The title “Audacious” The book was about loving God Audaciously, having faith about the things you can’t see. Audacious means: showing a willingness to take surprisingly bold risks. Being bold is who I am, its everything I have tried to live for, its in my DNA but taking risks isn’t always a part of who I am, its not what I try to live for, and its defiantly not a part of my DNA. But being both a risk taker and a bold young women are something God uses everyday, He gave me the boldness so I could take risks for Him and His kingdom. This passage in the bible is about man who could not see but still believed through faith that he could be healed. We need faith like him! Knowing that the problems that we face can come to pass because we have audaciously love Christ and because He audaciously loves Us! I want God to use me like He did Esther, Moses, Ruth, Mary the list can go on. I want God to use my impediment to please Him. I want Him to use the unthinkable in me to do the purpose He wants me to complete. Isn’t that what being audacious really means. Its not about if I love this job then I will take it, its not about who wears what to church. Its about filling a calling on your life, its about being bold when you don’t know how to be, its about being a risk taker and listening to Gods voice when He is guiding you to witness. Its been a long time since I wrote a written response on this blog but there wasn’t a day that went by that I didn’t hear from God. He has been guiding my heart and every step. This day means so many different things to so many different people. I have to say that as a single girl, I really never got into Valentines Day. Now I must admit that I joke around and poke fun, but I think it hurts more then ever to be single on this day compared to any other random day that has laid before this one. WOW…. What a shocker…..RIGHT. I look back on my life, kind of wondering what happened…. could I have been more nicer, or less girly, should I have been more into sports. I think every girl does the deep thinking for how to change herself, because you want someone to be a part of your life. Not to long ago a friend of mine told me that I was sitting on Gods potters wheel and that was an amazing place to be. She said that this is a vital moment, this is where God shapes you and designs you. Everyone’s vase is shaped differently and has different cuts and markings on them, that’s how God sees us…. That’s how He wants us. I remember the way my friend looked when she said these next few words to me…….. Girl she said, Gods got you on the potters wheel and He has your future husband on there too. And that Man might be feeing and saying the somethings things you are saying and feeling in this very moment. I never once had to tell my friend what I was feeling, it was kind of like she already knew. She told me later on that day that she saw it in my eye’s and the way I was talking to her. Through it all God gave her inspiring words of wisdom that changed my outlook on life. I want to remind you that its ok to be sitting right where you are, it ok to be concerned about what tomorrow holds…. that’s what makes you human, but you know what? 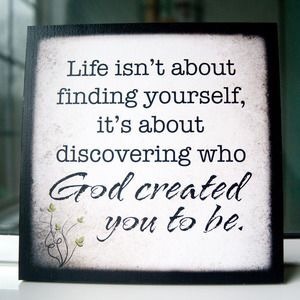 What makes you Gods child is putting your faith in Him to mold you….. to shape you…. to move you….. to be there for you…… to be in control…. to comfort you. So this day is about Love, its about Loving Life, ever inch of it. its about serving Love to others, being the salt and light to the world. Its about getting out of your Pajamas and facing today head on. it’s about losing your pity party and enjoying yourself. Its about feeling comfortable being on the potters wheel and learning news things. Nobody truly leaves there heart behind when they move on, I could honestly say that’s it end of blog post. But it certainly isn’t true, every time someone breaks your heart, lets you down, or mocks your dreams they are taking a little piece of your heart and if you don’t stand up for your self or fight back you leave a little bit of your heart with that person. The piece of the heart is strong and wasn’t meant to be broken off or shared and now you feel empty and hurt or have the feeling that you are missing something. The truth is that broken piece can be restored and that sense of loss can be made new, leaving your heart doesn’t have to be a thing when you have a strong God protecting it. I tend to be a person who gives it all or nothing, a person who has so much to offer and when people cut me down and out I might for a minute say “What just happened?” but I get right back up and push on. People can say mean things, they can play with your feelings, your heart. But you know what my strength comes from God the healer and protector of my faith. He has made me whole and through Him I can do all things. Hearts are powerful tools, they are peoples souls and are descriptions of how people live. Your Heart is what you make out of it, its a reflection of how you treat people. Leaving your heart behind would be devastating. So don’t leave it behind before letting God transform it and make it new. Maybe this is your first time experiencing a broken heart, maybe you just need a reminder of what a cleansed heart feels like, its never to late to experience that. It’s never to late to experience Gods Love and passion for your life.